Remember? There was a time in which the above selection was thrilling. Let's do an exercise. Let's say that we are going back 15 years in the calendar, in that time space in which Messenger was the ultimate tool to 'socialise' online, and in which the closest thing to today's smartphones were HP's iPAQs. 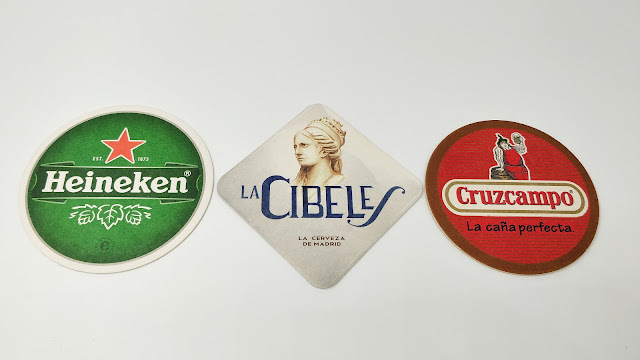 You had tried something more than the typical Lagers thanks to Belgian and German imported beers, to be found in supermarkets and a few select bars run by genuine beer activists, as well as in pseudo-Irish pubs, some with more grace than others, who were in their peak of popularity. In this past context, think about what your response would have been to the following wording. After making your list, go back to the present and think about what this list would look like now, considering the realignment of preferences that these past fifteen years have meant for you. Would there be any matches between the two lists? In my case the answer is positive, something I suspect has something to do with my cautious enthusiasm for novelties, and my romanticism for the classic stuff. What is more, I think that if I had had more knowledge about certain aspects of beer as a drink in 2002 the correspondence between both lists would even be greater. Go to the Oktoberfest in Munich. Visit the Guinness brewery, with a route of pubs through Dublin. Visit the Budejovicky Budvar / Pilsner Urquell brewery, with a tour of bars through Czechia. Visit a Trappist abbey -preferably Chimay-. Run the Paris-Dakar in Santiago de Compostela *. Yes I know. I confess that the last point used to motivate me; for real. It was explained as something very special to me, at a time when neither Google nor Trip Advisor could give me any information about it, and I found it so amusing that I said to myself that I would do it someday. I cannot dismiss it in advance, though. Maybe when I visit Santiago I feel like it and do it, for old times' sake, taking the opportunity to eat a tapa with my beer corto in each of the bars. 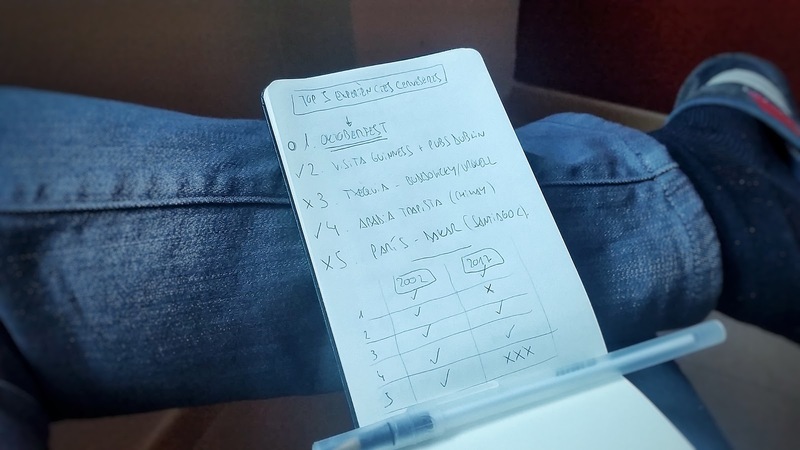 But beyond this anecdote, the four remaining entries on my list would surely be similar to what many other people, in a social and beer context similar to mine, would have put. Among them, I could more or less mark the second and fourth as done. In 2013, the visit to Guinness was a good experience, complemented by a pub crawl through Dublin that was very different from what I would have imagined at the age of 19, as I didn't even step on Temple Bar. I don't think it would be in my top 5 today, even though I enjoyed it. On the other hand, the visit to a Trappist abbey was met in 2015, although surely in the last of the classic abbeys that I could have expected, as it was the non-Belgian: La Trappe. In this case, my romantic part would surely keep it on the list, but extend it to all the Trappist abbeys, now that we are all accomplices of globalisation, having turned travelling into common activity -in 2002, the Ryanair phenomenon was timidly beginning to be popular in our latitudes-. I have not been to the Czech Republic, and it is a mistake that I would like to amend shortly, being of course an experience that continues on my current list -I would also extend the number of breweries to visit, now-. As for the Oktoberfest, I am completely sure that it continues among those experiences that I really want to experience, because despite all the bad press that can carry, in large part by the horrendous nonsense replicas that are assembled worldwide, it is a first-class popular folk event, deeply rooted in Bavaria, and with a long history of its own that deserves more respect and admiration than it is generally dispensed. That's why I'm happy to say that I'm willing to meet this historical tick... this weekend. 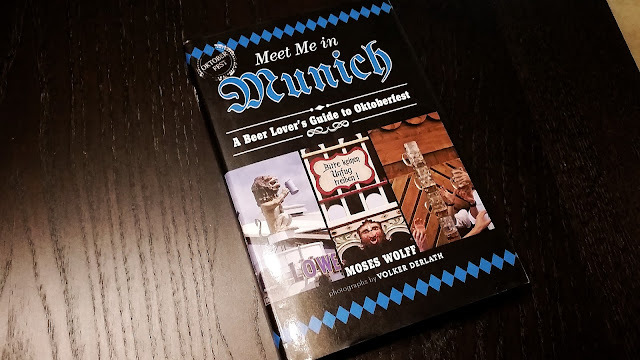 In addition, with the luck to share it next to a great friend who lives in Munich, with whom at the time I dreamt of taking trips like those of the previous list. No doubt, it will be a beautiful way of embracing everything we lived in countless nights of talks and beers. The reunion between two teenagers who fell in love with this drink. PS. Looking forward to seeing your 2002 lists, be it here or by commenting in social networks! * For those of you not fluent in Spanish, the Paris-Dakar is a popular bar route in Santiago de Compostela, Galicia, in which you are supposed to drink in each, or many, of the bars in Rúa de Franco. The first bar is called París, and the last one is Dakar; hence the name. 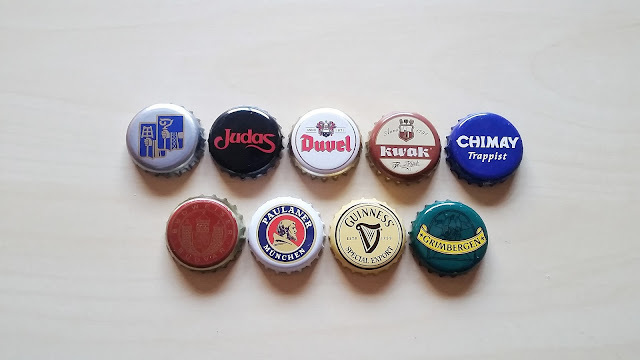 A nice post Joan, and a few beer-related dreams that are similar to my own. In 2002 I was busy running the Beer Shop which my wife and I owned. Opening seven days a week left precious little time for any beer experiences, although there were plenty I could dream about! Three years later and I was touching down in Munich for the first time, taking a well-earned, but rather short break from running the shop. Two year later we had sold the business and I was visiting Bamberg; a beer destination par excellence, and a city I had longed to visit. Sitting in the timeless old Schlenkerla Tavern, enjoying a few glasses of the wonderfully smoky Rauchbier, has to count as one of my best beer experiences ever. Since then, there have been many other memorable experiences; some of which I have been fortunate to have shared with you. You mention the visit to the Abbey of La Trappe, last year, and that for me was another experience to cross off the list. Like you, I feel it would be good to visit some of the other Trappist producers, and those experiences will surely come in time. I was fortunate to have visited the Pilsner Urquell Brewery, back in the early days of my interest in beer. That was back in 1984, when the country was firmly under communist control, and before the Czech Republic and Slovakia parted company. The brewery was an amazing place back then, with all fermentation and maturation taking place in wooden vessels. The beer too was amazing. And so to the present day. I noticed your photo of Moses Wolff’s “Meet me in Munich.” I have the same book and it will accompany me to the same place as yourself; but only for a fleeting visit. The family and I are off to Regensburg at the beginning of next week (25th September). We will be spending the night in Munich, before travelling on to Regensburg later the following day. With our hotel, just 10 minute’s walk from the Theresienwiese it would be crazy not to call in at Oktoberfest. We won’t have as long there as you, but there will still be time for a look round and a Maβ or two of beer. Oktoberfest was hovering in the background on my list, but now the time is obviously right for it, even though we will be just “testing the water.” I’m certain you will enjoy your visit, and look forward to reading about your experiences.